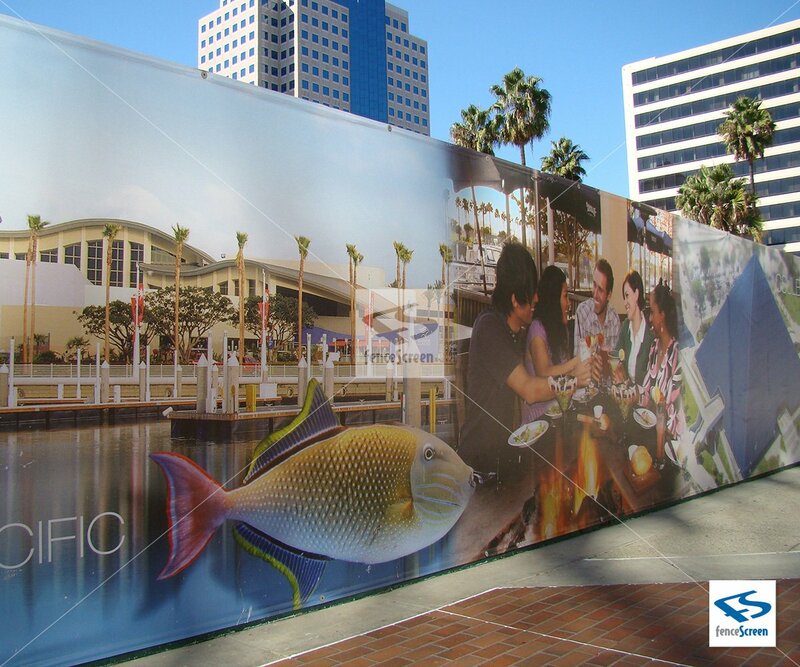 Vibrant graphics printed on high quality MAXFlex™ Mesh or Solid Vinyl fence banners. 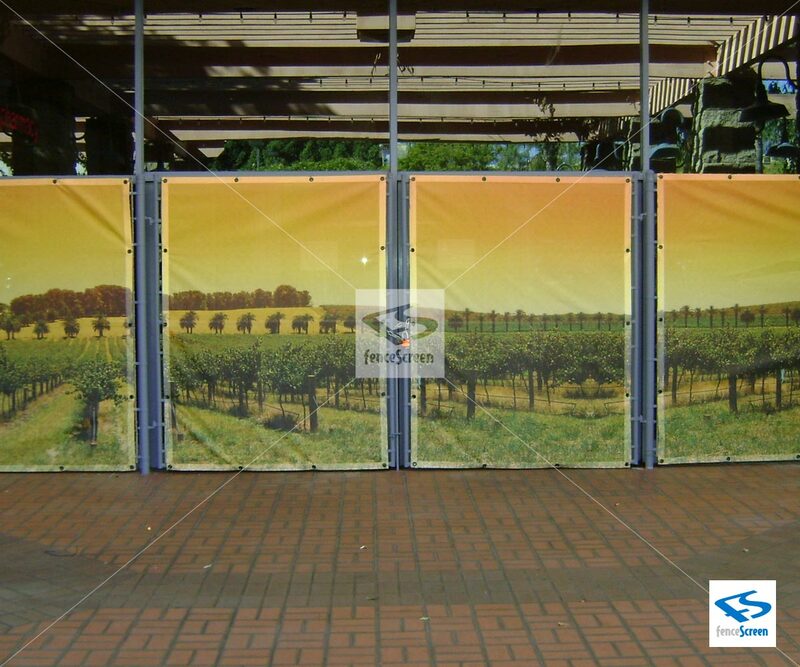 A great solution to promote your business, promotion, project or sponsors. on Mesh or Vinyl Material. 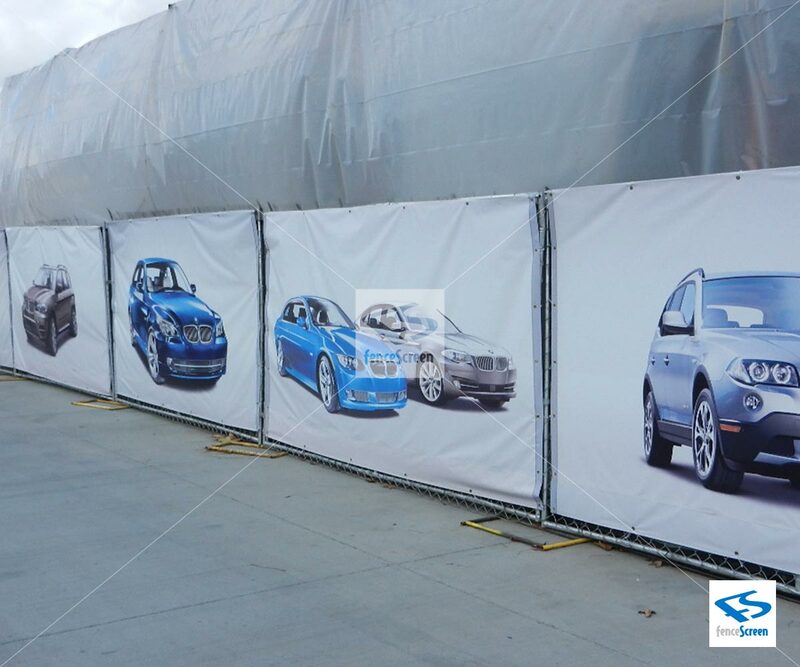 Customizing your Mesh/VInyl Fence Banner or Sign to the exact size you need is no problem. 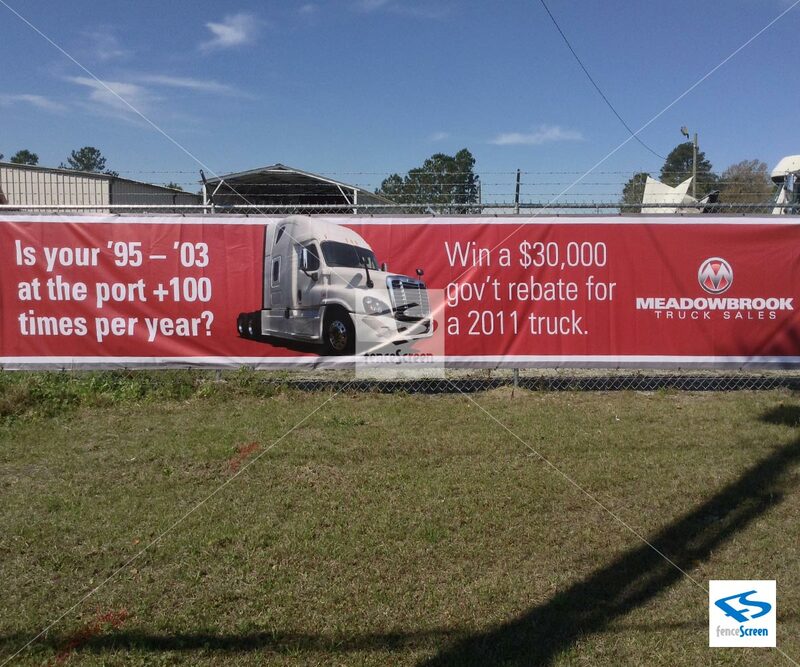 For more information, feel free to call us at 888.313.6313 for an estimate. 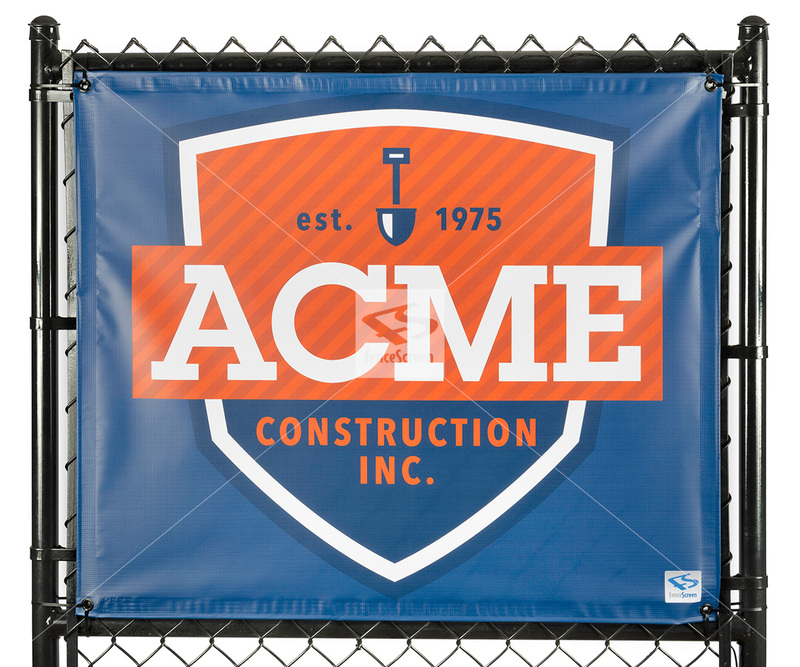 Our fence signs look great on any fence. 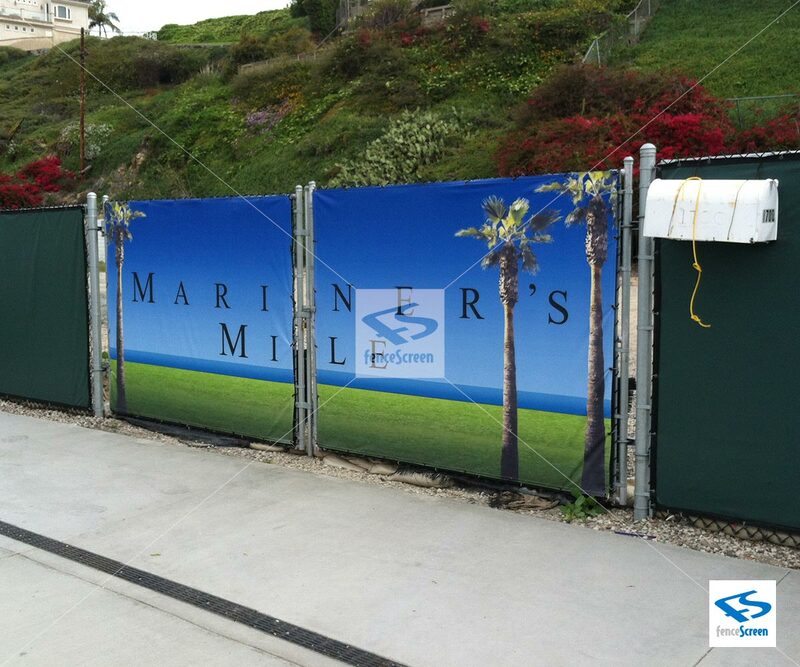 They use UV-Stabilized inks & materials so your chain link fence banner or sign will stay looking great in any weather. 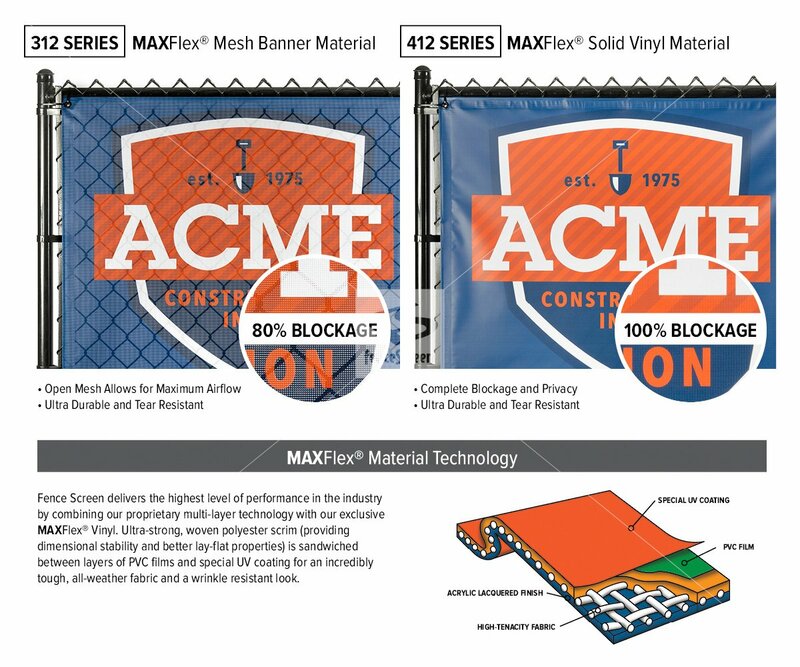 Our fence banners are printed on MAXFlex™, an exclusive line of materials and ink that is 300% more resistant to cracking, creasing, and fading than the standard. Promote for all to see! 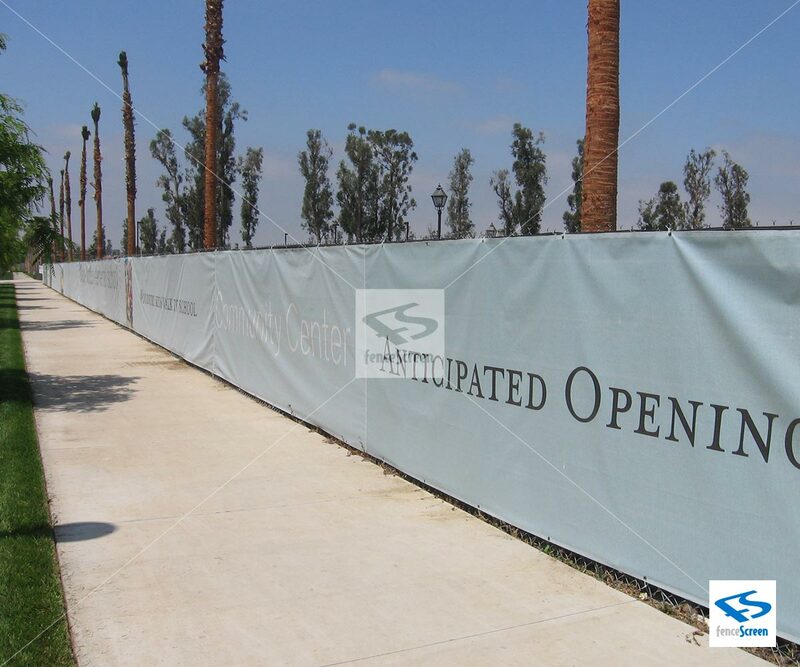 Custom mesh/vinyl fence banners and signs are great for getting noticed. 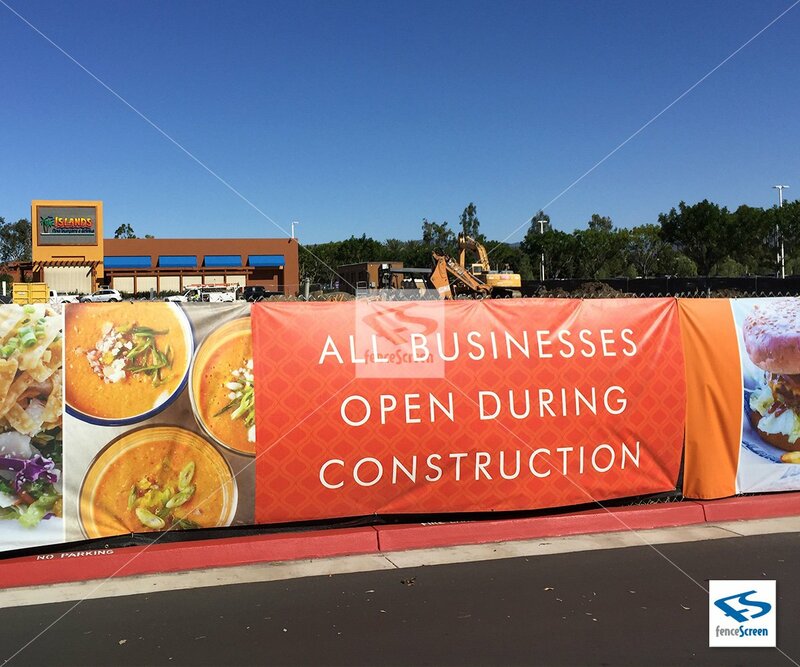 Whether you are promoting a business, product, sale, promotion or simply informing customers you are open for business, custom fence banners and signs from FenceScreen are a low cost powerful way to get the job done. 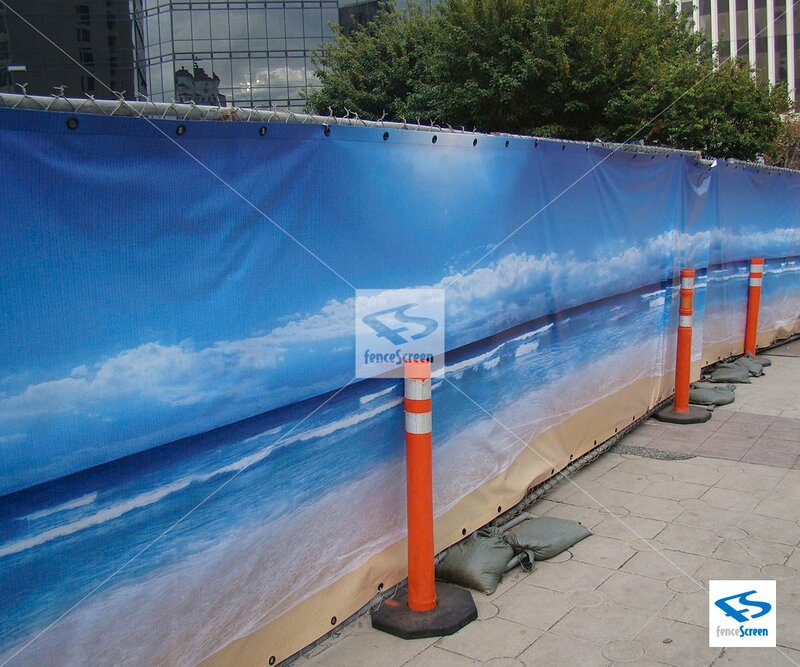 FenceScreen has been printing custom fence banners and fence signs for businesses, schools, and commercial properties since 2005, so you can be confident you are going to get a professional and quality banner. 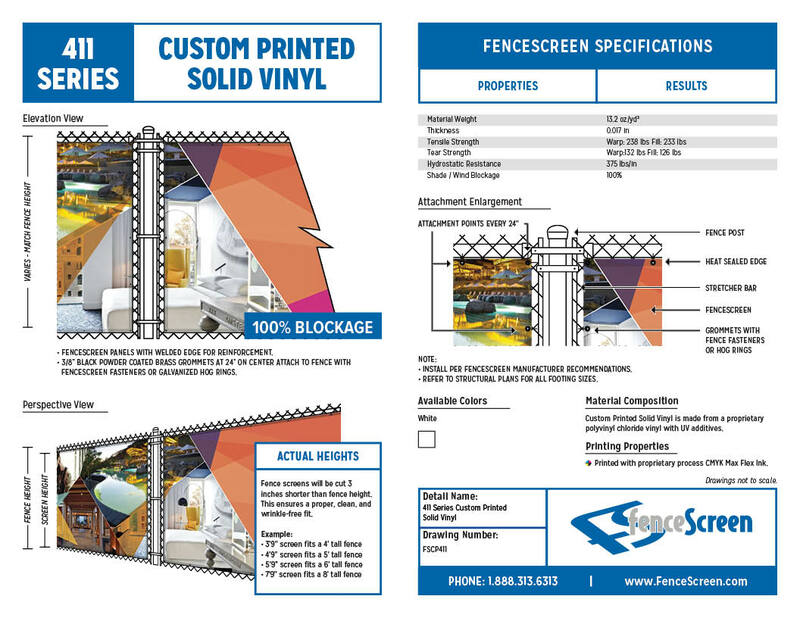 We have our experienced graphics department check every graphics provided to ensure it's high-quality, then creates & sends a digital proof for you to sign off on. 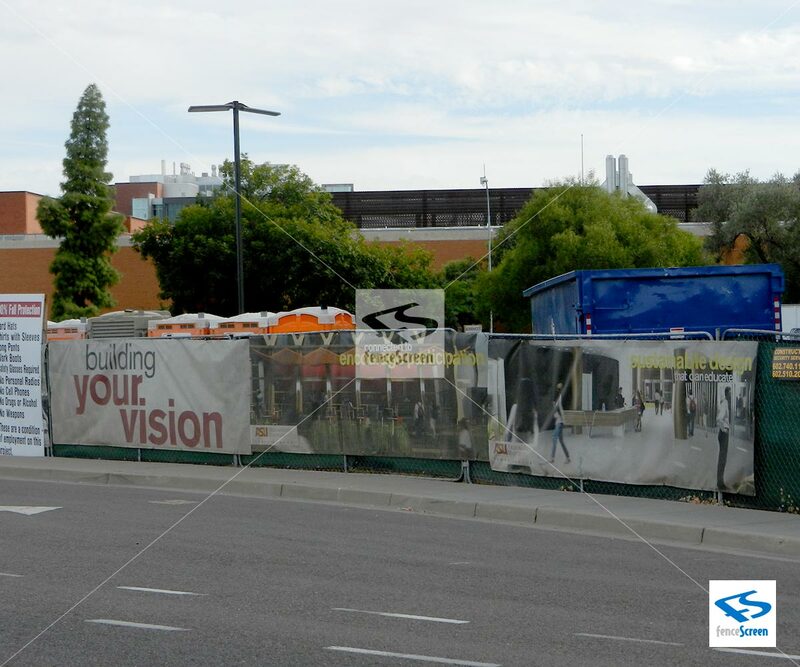 All this just to ensure you are happy with your custom mesh or vinyl fence banner. 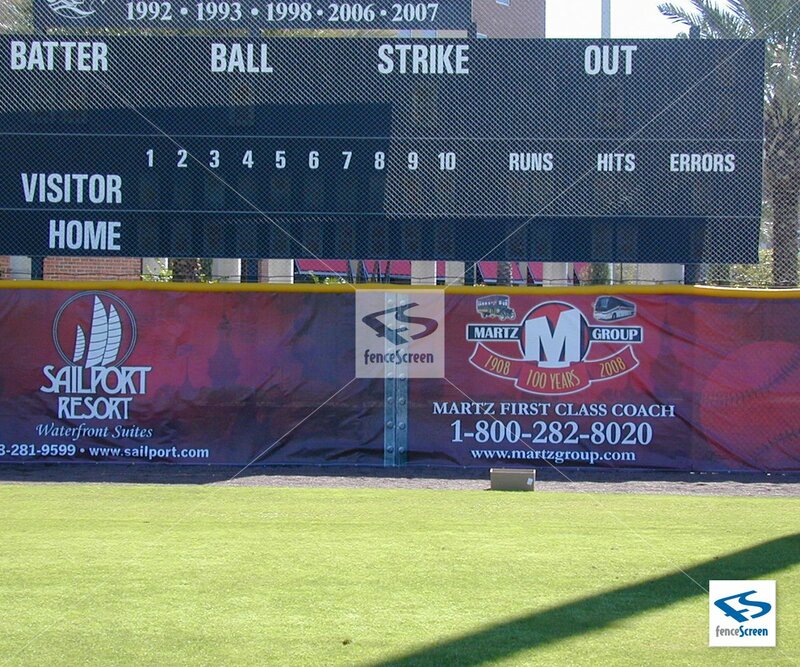 Every fence banner purchase can have the same graphic or a unique graphic at no additional cost.